February 26, 2018, 11:05 a.m. 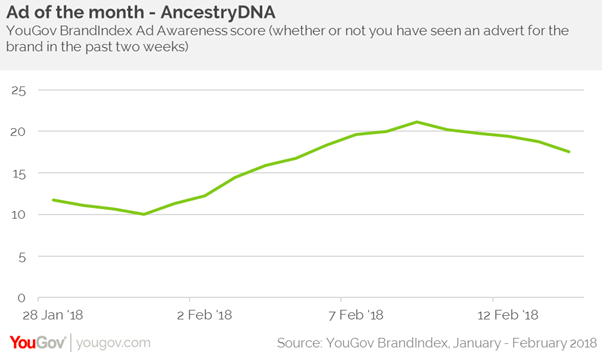 This month, AncestryDNA is the brand that has achieved the greatest uplift in its Ad Awareness score. The genealogy website have created a ‘love letter’ to Britain in a new light-hearted Brexit themed campaign, which shows people from all across Europe singing Rick Astley’s ‘Together Forever’. ‘We may be leaving Europe but Europe will never leave us’ is the strapline that closes the TV ad, which was released on the 29th January. It is based on research showing that approximately 60% of a British person’s DNA is European. 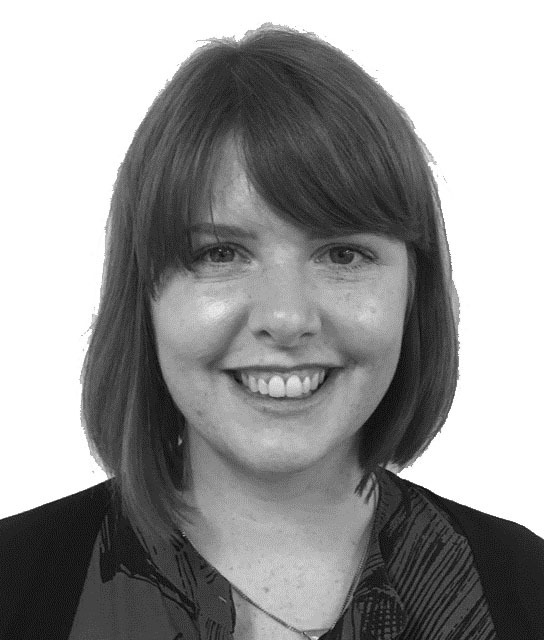 YouGov brand tracking data shows that the campaign has resonated with the general public, with its Ad Awareness score (whether you have seen an advert for the brand in the past two weeks) rising from +11 on the day that the campaign was released (29th Jan) to +21 at its peak on the 9th February. The campaign has also achieved particular cut through with those who say they would already consider using the brand. Ad Awareness among this group went from +27 on the day of release to +52 at its peak on the 14th February. Since the ad’s release, AncestryDNA’s Consideration score (which of the following online service websites would you consider visiting) has grown, particularly among those aged 50+, among who its Consideration score has risen from +8 to +14. There is clearly a market which the company can capitalise on. According to YouGov Omnibus data, almost three in ten (28%) of the UK population has previously researched their ancestry, and almost half (46%) say that their ancestors are important to their personal identity.